DREW HARRIS, the assistant chief constable with one of the most challenging posts in the PSNI, says the battle against dissident republicans will continue relentlessly and will go on for a long time. It has been an up-and-down period for Harris, who as head of PSNI crime operations is charged with combating the threat from the dissidents. Just over a week ago the Massereene murders trial concluded with the conviction of Brian Shivers for the killings of British soldiers Patrick Azimkar and Mark Quinsey. Lurgan republican Colin Duffy was acquitted of the killings. The trial of former Sinn Féin councillor Brendan McConville and John Paul Wootton for the Continuity IRA murder in Craigavon, Co Armagh, of Constable Stephen Carroll two days after the Massereene murders in March 2009 continues at the Crown Court in Laganside in Belfast. 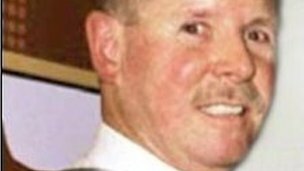 Nobody has been charged with the murder of Constable Ronan Kerr, who died in an under-car bomb attack in Omagh in April last year. His killing is still being actively investigated, according to police, as are the murders of Constable Carroll and those of the two soldiers. These are the most high-profile relatively recent murders that dissidents have admitted. But they have also been involved in other killings, numerous bomb and gun attacks, including recently in Belfast and Derry, and in so-called punishment shootings. The threat level from the dissidents, as measured by MI5, remains “severe”: that is, an attack from them is “highly likely”. In terms of dealing with that real and present threat and tackling all that purist republican crime and putting people in prison, the buck stops with Harris. He is a quiet, reflective individual who started as a constable in the RUC in 1983 and rose steadily through the ranks. He views the dissidents as “near fascist”, a group “whose mindset is absolutely certain of the validity of their argument, so certain they feel they have the right to inflict violence on others”. In a time when there is political stability and a political dispensation supported by the overwhelming majority of people in Northern Ireland, what they are doing “defies logic”, he says, in an interview at police headquarters at Knock in east Belfast, given ahead of the Massereene judgment. But he knows too that it is their narrow view that makes them dangerous and unpredictable. The policing and intelligence strategy is to hit them with everything they can, he explains, and at community level to win the battle for hearts and minds. And that battle will run just as long as the dissidents run. It is a multi-pronged approach of community and criminal policing; in the latter case dealing with the actual paramilitary threat but also targeting dissidents for more common forms of criminality such as drug-dealing, smuggling, drink-driving, fuel-laundering, petty criminality and “for whatever vulnerabilities there are in their lifestyle”. If known or suspected dissidents are seen to be living beyond their means, then the Criminal Assets Bureau in the South and the Serious Organised Crime Agency in the North will target them, Harris explains. If there are suspected tax issues, then the tax authorities are brought in. “We have been going solid at this for two years now,” he says. It is a quiet war of attrition, most of which does not make big news. The PSNI, Garda and MI5 and their dissident opponents are braced for a long conflict. “I think they themselves see it as a long-term project that they are engaged in. I don’t think they particularly see success in terms of weeks or months but they look at this in terms of years. We need to put our own timescale against this as well,” says Harris. He says the dissidents can be resisted and does not believe the support systems or “emotional drivers” are present to allow for anything approaching a successful campaign of violence over the coming years. Harris recalls how after the 1998 Real IRA Omagh bombing, which killed 29 people including a woman pregnant with twins, there was a “weight of public opinion” against the dissidents. The coalition government is now facing calls for an referendum to be held in Northern Ireland. Senior Irish republican politicians say the ballot could be held in 2016, just two years after the Scottish independence vote. The vote in Northern Ireland would ask whether it wants to remain in the UK or become part of a united Ireland, according to Sinn Fein, the main pro-Irish republican party in the province. The UK government has the final say on whether a referendum on the future of Northern Ireland can be held. Stormont Deputy First Minister Martin McGuinness, the Sinn Fein leader, said he would like to see a referendum held after the next election for Northern Ireland’s assembly, which is likely to happen either in 2015 or 2016. Just as 2014 is a key year for Scottish nationalists, marking the 700th anniversary of Bannockburn, so 2016 is important for Irish republicans, as it marks the centenary of the Easter Rising, one of the pivotal moments leading to indepedence in the south. Another leading Sinn Fein member echoed Mr McGuinness’s comments. Pearse Doherty, a member of the Dàil, the Irish Republic’s parliament, said: “I do hope the referendum happens in the next term of the assembly government. It is not clear if many people from Northern Ireland’s historically republican Catholic communities would want to unite with the Irish Republic, particularly when Dublin is struggling to emerge from a deep financial crisis. The state is the biggest employer in Northern Ireland and the province’s population enjoys a number of benefits – including universal free healthcare through the NHS – which are not available in the Republic. The 2001 census showed that 40 per cent of Northern Ireland’s population classified themselves as Catholic, 46 per cent were Protestant and 14 per cent said they had no religion. Details of religious affiliation from the 2011 census have yet to be released. Under the 1998 peace deal that ended the IRA’s campaign against British rule of Northern Ireland, if a referendum is approved by London, another one cannot be held for another seven years. A referendum held on the issue in 1973 in Northern Ireland was boycotted by republicans – fewer than 1 per cent of Catholics turned out to vote according to some reports. The result was a 99 per cent vote in favour of staying within the United Kingdom. The republican boycott contributed to a turnout of only 58.7. In addition to taking a majority of votes cast, the UK option received the support of 57.5 per cent of the total electorate. Paul Ward who claims PSNI officers are involved in a five year campaign of intimidation against him and his family. Mr Ward claims the harassment is in response to a civil case he took against a number of officers following an incident at his Ballymagroarty home in 2007. A Derry man has claimed the PSNI attempted to recruit him as an informer against dissident republicans or “ruin his life” if he refused. Father of four Paul Ward also accuses the PSNI of pursuing a five year campaign of intimidation against him. Explaining what happened, Mr Ward said: “I was driving home along the Coshquin Road, near Whitehouse on Tuesday, when suddenly a policeman stepped out of nowhere and pulled over my van. Two plain clothes officers then got into the vehicle. They told me they’d been following me all night as they wanted my help informing them on dissident republicans in Derry. Mr Ward’s solicitor Paddy McGurk described the saga as, “A crazy situation, in which the PSNI is causing horrendous distress to Paul and the Ward family for a number of years now. They are picking his home life apart. In order to clear his name and “live in peace” Mr. Ward, his solicitor and a number of local community and political leaders such as Sinn Fein’s Billy Page are calling for a meeting with the PSNI. Mr. Ward claimed that the CID officers offered to “Buy me a new van, pay me well and give me as many holidays as I could take. They basically said I could have anything I wanted if I helped them. “When I declined the officers said I had two choices, help them or they would make the rest of my life a misery. Mr Ward then exited the vehicle and walked home. Mr. Ward first clashed with the police when his son was arrested near their Ballymagroarty home. During that 2007 incident he, his son who has learning difficulties and a neighbour all claim they were sprayed in the face with CS spray while handcuffed. Ten public order charges against them were thrown out at the local Magistrate’s Court. Mysteriously the CS spray canister disappeared from evidence during the case. Mr. Ward filed a civil action against the officers involved but was ultimately unsuccessful. “That is when they started this campaign of harassment,” he said. Since then Mr. Ward’s home has been raided several times. In the last two months PSNI officers telephoned him twice to instruct him they had received a bomb warning for his home address. The police even asked Mr. Ward to check under his own car and initially refused to send officers to investigate the threat. “It was ridiculous; they asked me to go looking for a bomb. I’m at breaking point with all this. “I am asking the PSNI to meet me. I’m an innocent man and have done nothing wrong, but I feel like going to the bridge with all of this. It is going to kill me one way or another. Sinn Fein representative and personal friend of Mr. Ward said: “I can categorically state that this man is not connected to any political party or group. The PSNI are harrassing an innocent man. These PSNI actions are setting community policing back years in Ballymagroarty. The dogs in the street see what the police are doing to the Ward family. “My main concern is for Paul’s safety. The pressure the PSNI are putting this man, his family and his health under mean he is at breaking point. I thought we’d moved away from this type of policing, tactics and pressure. Mr. Paddy McGurk confirmed he has filed another complaint to the Police Ombudsman on behalf of Mr Ward and is examining the possibility of further legal action against the PSNI for harrasment. “I also want the PSNI to agree to a meeting to discuss the case,” he stated. When asked to comment on the allegations a spokeseperson for the PSNI said only: “We do not comment on intelligence matters and no inference should be drawn from this. However, in line with all other police services across the UK the PSNI’s policy in relation to the use of Covert Human Intelligence Sources is strictly governed by the Regulation of Investigatory Powers Act 2000 and is fully compliant with Human Rights legislation. Lord Saville, who chaired the Bloody Sunday inquiry, has said the shootings were Derry’s “most terrible day”. In a BBC interview he said his report seemed “to have achieved a lessening of tensions and possibly a degree of moving on”. He also defended the £195m cost of the 12-year inquiry, saying it would have been a “disaster” if not done properly. On 30 January 1972, a civil rights march in Derry ended with the shooting dead of 13 people by the British army. The Saville Report, published on 15 June 2010, was heavily critical of the Army and found that soldiers fired the first shot. Speaking before Parliament, Prime Minister David Cameron said he was “deeply sorry” and that the findings of the report were “shocking”. A huge cheer erupted in Guildhall Square in Derry as Mr Cameron delivered the findings which unequivocally blamed the Army for one of the most controversial days in Northern Ireland’s history. Lord Saville was appointed in 1998 by then Prime Minister Tony Blair to look into the events of Bloody Sunday. It followed an earlier official inquiry in 1972, led by the Lord Chief Justice Lord Widgery, which was described as a “whitewash” by the families of the victims and their supporters. Lord Saville said he had the impression that people in Derry were as upset by the Widgery Report as they have been by the events of the day. “But, of course, whether they were right to be upset by the Widgery Report at the beginning we had no idea, because we had no preconceptions,” he said. “I’m happy with the reception the report received, but I must stress, we didn’t write the report with a view to what reception it might receive. “We wrote the report in an attempt to find out what had happened on Bloody Sunday. 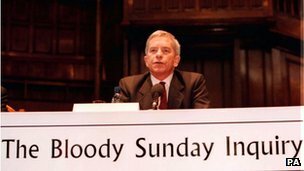 While most of the families of those killed on Bloody Sunday welcomed the Saville Report, one has questioned its findings. The inquiry found that one of the victims, 17-year-old Gerald Donaghey was probably armed with nail bombs when he was shot by Soldier G.
However, it went on to say that he was not preparing to throw them at the time when he was shot, nor was he shot because he was carrying them. The Donaghey family have argued that the nail bombs were planted on Gerald. Lord Saville said the inquiry had looked at the killing at “considerable length”. “The chapter on Gerald Donaghey and the nail bombs is more than 100 pages long, and it really came down to two possibilities,” he said. “We couldn’t exclude the possibility that the nail bombs had been planted on him. Lord Saville was not in Derry on the day the report was published, he was writing up another judgement for the Supreme Court, but did watch some of the events in the city unfold on television. “My counsel team did go over there and they told me it was one of the most emotional occasions they’d ever been to,” he said. “It did seem to get a good reception and the city that day did seem to be happy, so I was gratified and pleased. “He (David Cameron) did adopt the absolutely correct response to a report of this kind and from what I saw on the television about the reception in Derry, he achieved a remarkable result. On a role that took up so much of his life, Lord Saville said they were on a “search for the truth and we wanted everyone to help us find the truth if we possibly could”. “It was simply another, and by far the longest and biggest, judgement of my judicial career and as a judge you do your best to reach the answer you think is best and it’s for others to judge whether you have done so or not. “It was a job that I tried to do carefully. “It took a lot of time, cost a lot of money, we received a lot of criticism for spending so much time and so much money, but we felt that had to be done in order to do not only a thorough job but also a fair job,” he said. • More of the interview with Lord Saville can be seen on BBC Newsline in Northern Ireland at 31 January at 18:30 GMT. 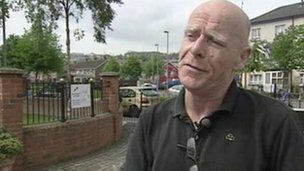 The veteran journalist, Eamonn McCann, has stepped down as chairman of the Bloody Sunday Trust. He said that he had taken his decision for a number of reasons. He said that he and other members of the Trust had disagreed over a number of issues, but stressed that he parted on good terms. Mr McCann also said that “on balance”, he felt that a controversial march to commemorate the 40th anniversary of the Bloody Sunday march should have been included in the official programme of events. 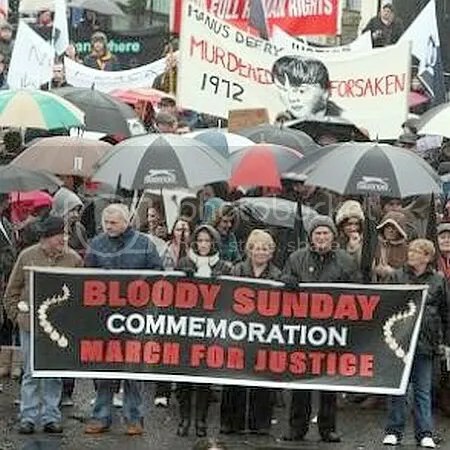 Thousands of people attended the event on Sunday, which was organised by some of the families of those who died on Bloody Sunday. The majority of the families said they did not want to take part after what they considered to be the final march last year, following the publication of the findings of the Bloody Sunday Inquiry. “I think it would have been reasonable to include it,” he said. Jean Hegarty, whose brother Kevin McElhinney was shot dead on Bloody Sunday, paid tribute to Eamonn McCann for his contribution over many years. “If he has decided to step down I can only respect that decision,” she said. DNA from one of the men accused of murdering Constable Stephen Carroll was found in the alleged getaway car, a court has heard. Brendan McConville, 40, from Aldervale, Tullygally and John Paul Wootton, 20, of Collindale, Lurgan, deny murder. Constable Carroll was murdered in March 2009. A forensic expert said DNA on the cuffs and collar of Mr McConville’s jacket had a one in a billion chance of belonging to someone else. The scientist said she uncovered Mr McConville’s DNA profile on three separate sites on a brown jacket found in the boot of Mr Wootton’s car. Despite Mr McConville’s protestations that he did not own the jacket, Faye Southam said that in her opinion “the findings are more likely to be obtained if he was the regular wearer of the jacket”. Constable Carroll, 48, was shot in the head after answering a 999 call with colleagues. At the time the dissident republican group, the Continuity IRA, claimed they were responsible for the shooting. Constable Carroll was the first police officer to be killed since the formation of the Police Service of Northern Ireland (PSNI). He was a married man with children and from the Banbridge area of County Down. He had served in the police force for more than 24 years. Mr Wootton’s 39-year-old mother Sharon denies perverting the course of justice by removing a computer from her home following the shooting. The trial of two men accused of the murder of PSNI Constable Stephen Carroll has heard from a detective who investigates electronic crime. The officer examined a computer which the prosecution claims belongs to John Paul Wootton, 20. He is charged with the murder. The detective told the court that a search of the hard drive under the term “weaponry” revealed a temporary Word document entitled Craigavon Republican Youth New Unit. The document said the organisation’s aims were to assist in the slow removal of British forces from Ireland, and assist all Irish republican armies. Its activities included painting slogans, minor punishments, training, activists and recruiting. The document also said that the organisation needed money for paint, weaponry and balaclavas. It said its plans were to get money, advertise through republican slogans, get weaponry and recruit and train. The court heard that this document was found under the user profile JP. Both Mr Wootton of Collindale, Lurgan and his co-accused, former Sinn Fein councillor Brendan McConville, 40, from Aldervale, Tullygally deny the killing. Earlier, the court heard that DNA from one of the men accused of murdering Constable Carroll was found in the alleged getaway car. The scientist said DNA on three separate sites on a brown jacket found in the boot of Mr Wootton’s car had a one in a billion chance of belonging to anyone other than Mr McConville. Constable Carroll, 48, was the first police officer to be killed since the formation of the PSNI. He was shot in the head after answering a 999 call with colleagues. Constable Carroll was a married man with children and from the Banbridge area of County Down. He had served in the police force for more than 24 years. Jean McConville’s daughter has said interviews given to Boston College regarding her mother’s death should be handed over to the PSNI. The daughter of Belfast woman Jean McConville, who was kidnapped and murdered by the IRA in 1972, has said interviews given to researchers at Boston College regarding her mother’s death should be handed over to the PSNI. Helen McKendry was 15 when her mother Jean McConville was taken from her home at the Divis Street Flats in Belfast before being murdered and her body buried close to a County Louth beach. 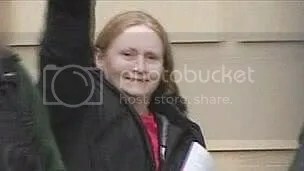 This week during a court case relating to the release of the interviews given by former republican and loyalist paramilitaries, it emerged that six of the interviewees in the archive made reference to the murder and disappearance of Ms McConville. Judge William Young said that two of the interviews he had listened to contained information responsive to a subpoena by the British Authorities which requested interviews from the archive relating to the murder of Ms McConville. Judge Young said that some of the interviews contained references to the death but it was not possible to say whether the interviewees were repeating stories they had heard or had actual knowledge of the event. The judge also revealed in Court that two interviewees made reference to what he called a “shadowy sub-organisation” within the IRA which was operating in Belfast. The two men who conducted interviews and oversaw the project, Anthony McIntyre and Ed Maloney, are trying to block the release of the interviews. They say assurances given to those who partook in the project that the interviews would not be released until after their death should not be broken. In an interview with RTÉ’s This Week programme Ms McKendry said that she “wants to know” what people had to say about her mother in the interviews. She said “there might be someone on the tapes telling the full story, who was actually there”. She said that not knowing what happened was “torture”. Ms McKendry has written to the US Attorney General on the issue and has appealed for him to see the family’s side of the story and hand over the interviews to British Authorities as requested. She argues that the release of the material will actually enhance the peace process and not threaten it as has been argued by those trying to block the release of the controversial archive. Ms McKendry revealed how her house was under 24-hour police surveillance and her children constantly subjected to abuse by people telling them their grandmother was an informer. She says she wants to clear her mother’s name and hopes the release of the archive might confirm that the IRA got it wrong when it shot her because it was thought she was an informer who was co-operating with British Authorities. 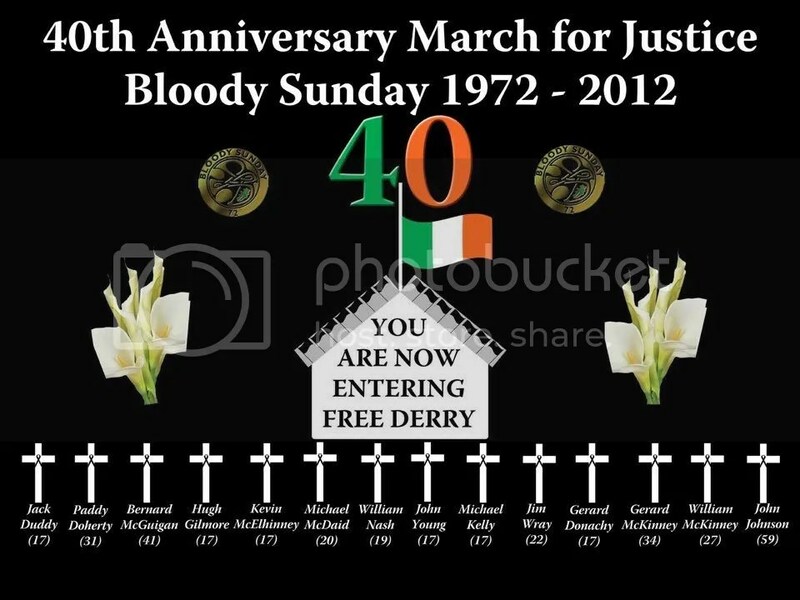 Events have been held to mark the 40th anniversary of Bloody Sunday in Derry. Relatives of the victims attended a memorial service, where both Protestant and Catholic clergy were involved, at a monument in Derry’s Bogside. But the majority of the families refused to take part in a subsequent march that retraced the route of the ill-fated demonstration where British paratroopers killed 14 civil rights marchers on January 30 1972. A public inquiry by Lord Saville declared all the victims to be innocent, prompting an apology from Prime Minister David Cameron in 2010. And while many of the families are pressing for the prosecution of the soldiers involved, most of them decided to end the annual march they led for 39 years, arguing they had been vindicated by the Saville findings. Kate and Linda Nash, whose teenage brother William was killed on Bloody Sunday, opted to continue the march. Kate said the march should remain an annual event to help lobby for other bereaved families seeking justice. “I am delighted with the turnout,” she said. Estimates suggested the march attracted more than 1,000 people, but the organisers believed the figure was higher. Allied soldiers arrived at the gates of the Auschwitz-Birkenau concentration camp sixty seven years ago this week, that is, on the 27th January 1945. It had become the largest graveyard of the Jewish people in history. An estimated 1.1 to 1.3 million people were exterminated there, 90% of them Jewish men, women and children. Others exterminated included Roma families, people with disabilities, homosexuals, prisoners of conscience and religious faith. Nothing could prepare the camps liberators for what they witnessed in Auschwitz. The remnants of the gas chambers and the crematoria; the mounds of bodies; the stench of death; the piles of clothes; of teeth; of childrens’ shoes and barely living skeletal survivors; the speaking bones who greeted their arrival. By the war’s end, it was estimated that 6 million Jews had been exterminated by the Nazi killing machine in pursuit of the objective of a Judenfrei world. If Hitler had achieved his objectives no Jewish community in Europe would have been exempt from the Nazi slaughter, not even those resident in neutral Ireland. In Yad Vashem in Jerusalem, a map of Europe prepared by Adolf Eichmann, one of the main architects of the extermination policy, includes the estimated 4,000 members of the then Irish Jewish community targeted for extermination. Clearly, had Germany succeeded in invading Britain, our proclaimed war time neutrality would have provided no protection for the small Irish Jewish community nor presented any real barrier to a German invasion. As the years pass by and the remaining survivors of the Nazi horror who can tell the story firsthand reduce in number, it becomes more important than ever that we keep alive the shocking memory of the Holocaust. It is crucial that we never forget what happened or diminish the scale of the horror that was perpetrated by the Nazi regime. This important exhibition, which will continue for the next three weeks and which I am privileged to open this evening, is an important contribution to raising awareness of the Holocaust. The Holocaust Education Trust Ireland has worked with Mémorial de la Shoah in Paris and the French Embassy in Ireland to bring this exhibition to Dublin and I am particularly pleased to host the exhibition in the Department of Justice and Equality. I would like to extend a very warm welcome to Luc Levy who works with the Mémorial de la Shoah, the producers of this exhibition and to the French Ambassador, Madame Emmanuelle D’Achon. I would also like to extend a warm welcome to Boaz Modai, the Israeli Ambassador, who represents a State which provided refuge and a home for tens of thousands of Jewish people following the horrors of the Second World War. The timing of this exhibition has been arranged to coincide with Ireland’s 10th National Holocaust Memorial Day commemoration which will take place this coming Sunday, the 29th January. This commemoration event, which is now firmly established in the Irish national calendar, has been supported by my Department since 2003 and I am very pleased to be in a position to continue that support. Exhibitions such as this; Holocaust Memorial Day Commemorations and the work of the Holocaust Education Trust in Ireland are all excellent examples of what can be done to raise awareness of the Holocaust. I am also pleased that Ireland became a full member of the International Task Force on Holocaust Education, Remembrance and Research in December 2011. This Task Force is a voice of moral authority on the international stage in raising awareness about the Holocaust and can help address the dynamics that we know precede mass killings and genocide. The importance of this exhibition is that it provides a global view of the Holocaust in Europe, starting with the growth of the Nazi movement, through the different stages of the persecution, inhumane treatment and extermination of millions of Jews, up to the Nuremburg Trials. It also gives a picture of both the political and military reactions of a number of States to this tragedy which included disinterest of some nations toward the fate of the Jews and looks at reactions at an individual level including Jewish resistance and the Righteous among Nations. It is difficult to comprehend how a society could have allowed such unimaginable atrocities to occur. We must remember that the Holocaust did not occur in a vacuum. These acts of evil emerged in one of the more modern and sophisticated societies of the era. Tools and advances made toward human progress were used for human destruction. Scientific and medical advances designed to heal and save lives were used to kill. Education which should enlighten was used to justify grotesquely immoral actions. People made choices. Some chose to be involved in some way in the destruction, others chose to do and say nothing, while some chose to resist the evil and do the right thing to support, protect and save the persecuted. An inconvenient truth is that those who chose to do and say nothing during this unprecedented period in European history include this State. In the period following Hitler coming to power and preceding the Second World War, the doors of this State were kept firmly closed to German Jewish families trying to flee from persecution and death. The advice of the anti-Semitic then Irish Ambassador in Berlin, Charles Bewley, that Ireland should be protected from the contamination that would result from granting residential visas to Jewish refugees resulted in practically all visa requests being refused. This position was maintained from 1939 to 1945 and we should no longer be in denial that, in the context of the Holocaust, Irish neutrality was a principle of moral bankruptcy. This moral bankruptcy was compounded by the then Irish Government who, after the war, only allowed an indefensibly small number who survived the concentration camps to settle permanently in Ireland whilst refusing entry and permanent residence to many more and also by the visit of President De Valera to then German Ambassador Edouard Hemple in 1945 to express his condolences on the death of Hitler. At a time when neutrality should have ceased to be an issue the Government of this State utterly lost it’s moral compass. So, in understanding the Holocaust and maintaining its memory, in ensuring that the conditions which allow such evil to flourish to such devastating consequences can never again prevail, we should not forget or ignore the failures of this State and this State’s responsibility for such failures. John Bruton, as Taoiseach, in the Spring of 1995, acknowledged our State’s failures and honoured the memory of those millions of European Jews who died in the Holocaust. When doing so, he acknowledged that the Holocaust “was not the product of an alien culture. It happened in Europe in living memory. It was a product of intolerance, bigotry and a distorted concept of nationalism.” In the midst of the ongoing fiscal and banking crisis that currently impacts on the nations of Europe, including our State, we should never lose sight of the extraordinary contribution of the European Union in providing the political architecture for peace and stability in Europe. As Europeans we must all ensure that in addressing vital issues of immediate concern that affect the lives of tens of millions, it is the European ideals of peace, cooperation and solidarity and not extreme nationalism nor narrow domestic political concerns which motivate our actions. It is appropriate that we revisit the morality of the conduct of our State during the 1930s and 40s, whilst of course being conscious of the fact that only a short time earlier, we had regained our independence from Britain and there was an understandable concern by Government to ensure, insofar as possible, political stability on this island at a time of global conflict. However, there were questionable things both done and not done and we should not be in denial nor should we ignore that the conduct of our State, at that time, in the eyes of some, delimits Ireland’s moral authority and credibility when today we seek to lecture later generations of those whose families survived the Holocaust on the conduct of their affairs in Israel, without regard to the extent to which they believe themselves under existential threat. When viewing this exhibition no one should assume that what happened in the past cannot be repeated in the future. The truth is we should pay greater attention to the dead. We must never forget the lessons of the past when we make, or urge others to make, decisions which impact on the future. We should never ignore the extent to which their past impacts on their perception of the present and fuels their fears of the future or causes them to question the judgement of others. For well over a decade, we have commemorated and paid tribute to the estimated 10,000 Irish people who died in British uniforms during the Second World War. Many who fought in British uniforms during that War returned to Ireland. For too many years, their contribution in preserving European and Irish democracy was ignored. Some of those include members of our Defence Forces who left this island during that time to fight for freedom and who were subsequently dishonourably discharged from the Defence Forces. I believe it is also appropriate that we revisit the manner in which they were treated whilst also remembering that those who served in our Defence Forces throughout that time performed a crucial national duty. It is untenable that we commemorate those who died whilst continuing to ignore the manner in which our State treated the living, in the period immediately after World War II, who returned to our State having fought for freedom and democracy. This is an issue to which I hope to return in my role as Minister for Defence later this year. In conclusion, I would like to take this opportunity to thank Lynn Jackson and her colleagues in the Holocaust Education Trust Ireland for their continued important work. I would particularly like to commend the Crocus Project, which encourages national school children to plant yellow crocus bulbs in memory of the 1.5 million Jewish children and thousands of other children who died in the Holocaust. This Irish initiative has now been extended to the UK, Croatia, Poland, Malta, Bulgaria and the Czech Republic. I am delighted that my Department actively supported the Holocaust Education Trust Ireland in initiatives such as the Crocus Project, the production of the Holocaust Timeline and Teachers Handbook as well as the development of other educational, research and raising awareness materials. I would also like to express our sincere gratitude to ‘our survivors’, who give so generously of their time to recount their personal stories to our children in schools around the country. I know that there are teachers here this evening as well and I would like to acknowledge their contribution to teaching our children about the Holocaust, about the dangers of racism and the importance of respect, equality and integration. Congratulations to all those involved in organising this excellent and informative exhibition and I wish it every success. IN his essay, The Idea of a University, Cardinal Newman observed that “what is spoken cannot outrun the range of the speaker’s voice”. By this he meant that speaker and sentiment must somehow coalesce to generate affecting rhetoric. The Minister for Justice, Alan Shatter, gave a master class in this regard last week with his landmark speech on the Holocaust. But even so, there was something special about Shatter’s critique. Mr Shatter is the Republic’s second Jewish cabinet minister, and his reflections on our non-intervention during the attempted extirpation of European Jewry carry extra moral freight. De Valera is still an historical titan, author of Bunreacht na h-Eireann’s old article 44 that offered symbolic recognition to Ireland’s Jewish congregations and the only other member of the prime ministerial goyim alongside Australia’s Bob Hawke to have an Israeli forest named in his honour. And put bluntly, only an Irish Jew could wheel out the big moral guns against him when discussing his courtesy call on the German ambassador in 1945. Shatter suggested that Dev had surrendered to the termites within by then, and that he had lost his “moral compass”. And in deploying such a blunt moral vocabulary, the minister will hopefully have sent a new generation of readers off in the direction of the figure who made many similar points about the Emergency, albeit in real time — namely, Kilkenny essayist Hubert Butler. No one who spends a day with Butler’s collection of essays, The Sub-Prefect Should Have Held His Tongue, can doubt the force and insight of the minister’s critique. Butler wrote brilliantly about the Catholic Church’s craven record during the early Nazi period and during the Second World War itself. He wrote for the ages when he described how the mass-murdering Croatian Andrija Artukovich hid in “neutral” Irish Franciscan safe houses after 1945. And Butler also describes how he himself was subjected to repeated clerical slanders in the post-war period when he tried to interrogate Irish Catholicism’s shady history of solidarity with Yugoslav Catholic fascists. Anyone wanting to follow up on Butler should check out his essays for sure, but also Rev Dr Robert Tobin’s beautiful new biography of Butler, The Minority Voice: Hubert Butler and Southern Irish Protestantism, 1900-91. Mr Shatter’s topic was, of course, European Jewry, but I, for one, could not shake the feeling that he was speaking for Protestant Ireland as well. Reading a Jewish critique of Irish anti-Semitism prompts awkward comparisons and made me at least ask about the specifically Protestant critique of the sectarian element in modern Irish Catholic nationalism. President Hyde never broke a lance publicly for the many hundreds of his innocent and helpless rural co-religionists who were murdered during 1919-22. President Childers never said a word so far as I am aware about the profoundly sectarian dimension in Bunreacht na h-Eireann’s education clauses. That task was left to philosophers such as UCC’s Desmond Clarke who wrote in 1984 that the constitution’s liberal veneer is hardly compatible with direct and indirect State financing of religious schools and of an exclusively Roman Catholic seminary like Maynooth College out of general taxes. The only practising Protestant who seems as willing as Alan Shatter to stand up for his diminished flock is Bishop Colton of Cork City. Mr Shatter’s speech showed that “context” comes from the heart, not the archive, and that the proper “context” for assessing our performance between 1939-45 is that provided by Irish Catholicism’s anti-Semitic prejudices, such as suffused the work and writings of Arthur Griffith, Peter Berry at Justice, and Oliver J Flanagan TD. The other “context” to be canvassed is the basic postulate of Irish nationalism, namely its oft-stated belief since the Fenian era that the Anglo-Irish quarrel takes precedence over all others, a belief that drove IRA leader Sean Russell into open alliance with the Nazis. Rarely has an Irish minister managed to brush against so many awkward historical chimes in the way that Minister Shatter did. His splendid speech shows that Hubert Butler’s Ireland was not spent, merely sleeping awhile. The justice minister has been urged to end strip searching at Maghaberry prison and use modern hi-tech scanners. Prison reform campaigners have argued that full body searches are fuelling support for dissident republicans. Raymond McCartney, Sinn Fein, who is deputy chair of the Stormont justice committee, said David Ford should give the go-ahead for the new body scanners. His call follows dirty protests and hunger strikes by some republican prisoners at the County Antrim jail. Mr Ford said he understood the concerns of prison reform campaigners, but needed more time. The minister said security and safety came first. “There is traction for dissident support groups because of the prisons issue,” he told the Sunday Politics Show. 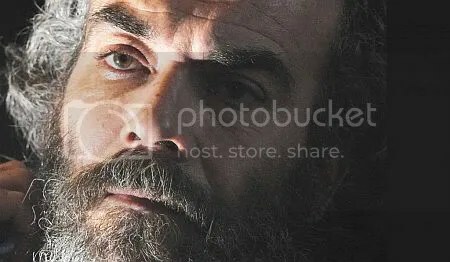 Mr McCartney, a former prisoner, was speaking on the Sunday Politics Show. “We are saying to him very clearly that if there is technology there, he should do it in a way that he is not seen to be dragging his feet,” Mr McCartney said. 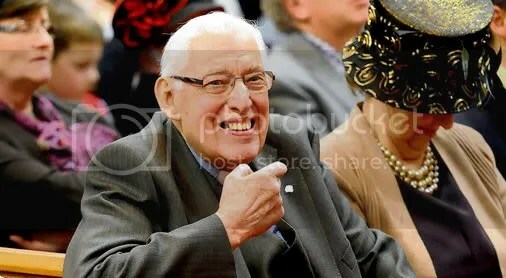 THE ROADS around Martyrs Memorial Church in south Belfast were jammed with traffic in all directions as the Free Presbyterian faithful came from all over the country to bid farewell to the Rev Ian Paisley. The special retirement service last night marked the official end of 65 years of Dr Paisley’s ministry on the Ravenhill Road. There was a cheerful, celebratory atmosphere as the massive congregation surged into the church, squeezing into the old wooden pews. Among the female members of the congregation there were many elaborate hats of all colours, trimmed with bows and feathers. When Dr Paisley, now known as Lord Bannside, finally entered the church, alongside his wife Eileen, Baroness Paisley – who was wearing the most elaborate hat of all, an exotic confection in black and gold – there was a standing ovation and cheers as Dr Paisley raised an arm to acknowledge his followers. There ensued a series of tributes from fellow travellers: preachers and missionaries who have walked alongside Dr Paisley throughout the years. Dr John Douglas, a Free Presbyterian minister from Lisburn, claimed his place as “the first convert the Lord gave you in your ministry”. Dr Paisley’s son Kyle, now a preacher in England, said that despite all the demands on his father’s time, his first concern was always the spiritual welfare of his family. When Dr Paisley got to his feet to acknowledge the praise, he appeared stooped and a little frail. Yet once he was back in the pulpit that formidable presence returned, and his increasingly powerful voice filled the church. Clearly this was not a man ready to say goodnight to the world just yet. The North’s First Minister Peter Robinson has attended his first ever gaelic football match. In a significant development for community relations in Northern Ireland, he joined deputy First Minister Martin McGuinness at a GAA cup final. The leader of Demoncratic Unionist Party was invited to attend by the GAA’s Ulster Council. His attendance at the Armagh Athletic Grounds follows long-running efforts to build bridges between the GAA and the unionist community. In 2008 Edwin Poots, a Democratic Unionist minister at the Stormont Assembly, became the first political figure from his party to attend a GAA game. Ulster GAA president Aogan O’Fearghail welcomed Mr Robinson’s attendance at the McKenna Cup final between counties Derry and Tyrone. The Assembly Executive has earmarked more than £100 million to redevelop stadia linked to gaelic games, rugby and football. This includes a major scheme for the GAA’s Casement Park ground in the heart of west Belfast. ‘How many times can a man turn his head, pretending he just doesn’t see?’ asked Bobby McDonagh, Irish Ambassador to the UK, as he addressed supporters of the Forgotten Irish on Friday evening. His Bob Dylan allusion was to that period in the Irish past when children suffered abuse in institutions, single mothers were enslaved in Magdalene laundries, and no one wanted to know. Many of the damaged young people who escaped to Britain are now among the thousands of impoverished and isolated elderly people being helped by a multi-million campaign driven by the Ireland Fund of Great Britain (IFGB). But last Friday night, at an award ceremony at the House of Lords in London, it was an occasion to celebrate a much improved present, where recent emigrants are acknowledging and helping their predecessors who — despite their hard lives — sent as much as €3.57bn in today’s terms to help the people struggling back home. Since 2007, when the Forgotten Irish campaign began, €1.19m has been distributed to 50 organisations throughout the UK helping the vulnerable Irish with psychological and practical support. As the ambassador said, the campaign reached new heights in May of last year, when the IFGB co-chair, Basil Geoghegan, whose career until recently was in merchant banking and is now in software, climbed Mount Everest and planted on top the flag of the Forgotten Irish. So far, that climb alone has generated €132,146 for the fund. The former victims of industrial schools, he said at the time, “have got their own Everest to climb every day and that was one that was thrust upon them”. The Forgotten Irish award was shared by two doughty fighters for the Irish vulnerable. Both brought up in Irish institutions, Phyllis Morgan had a tough time. But although Sally Mulready was decently treated, she saw other children living in fear and was inspired by the revelations of the late Mary Raftery to seek out and help emigrant victims of institutional abuse. Both women have a distinguished record of selfless hard work for various support organisations and success in forcing those in authority to pay attention to groups they would rather ignore: they are key figures in the Irish Elderly Advice Network. Until the mid-1990s, said Ms Mulready, she and people like her would never have had invitations to the Irish Embassy: now she is on the Council of State. On Friday night, they were upbeat, with Ms Mulready telling the audience that the Justice ministerial team, Alan Shatter and Kathleen Lynch, were close to a decision on how to help to bring justice for the Magdalene survivors. Sinn Féin Councillor Jim McVeigh – a former IRA prisoner – is set to chair the Belfast PCSP while his colleague Matt Garrett has been nominated to chair the West Belfast area.